I am the queen of culottes and there is no better place to shop for them at the right prices than at Zara, especially during the infamous and always highly anticipated Zara SALE. I’ve been finding myself drawn to the more blue of hues a lot lately and evidently my obsession continues. 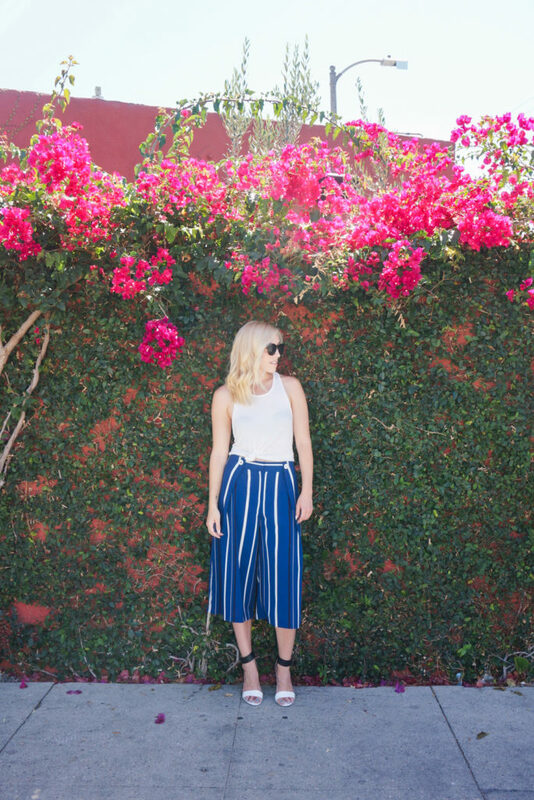 Culottes in LA never go out of season and this is great news for me because it’s officially Summer now and anything that doesn’t cling, isn’t constricting, and is “flowy” is what I want to be wearing. Culottes are the type of trouser that deserve to be paired with a good heeled sandal – casual or not so casual. Flats, boots, even wedges (it depends) aren’t the best ideas to pair these special pants with, I always go wit a pump or a casual sandal as seen above. I was probably the only person dressed up like so on Sunset Junction that day but hey, there’s never a bad time or bad place for culottes. Those are great! So cute on you!